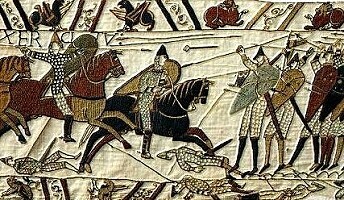 The Normans Knights had horses unlike the English who were on foot. 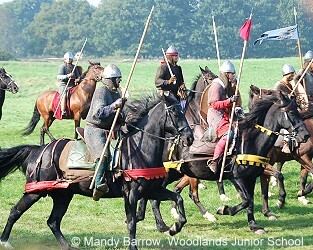 The Normans had an advantage by using horses in the battle. 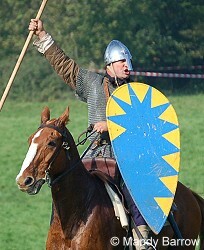 The horses, however, were not armoured.This made them especially vulnerable when attacking a shield wall.